According to a latest study, among Indian citizens, 31 per cent working professionals in Mumbai suffer from stress, followed by Delhi (27 per cent), Bengaluru (14 per cent), Hyderabad (11 per cent), Chennai (10 per cent) and Kolkata (7 per cent). How fast stress and anxiety is taking over the urban landscape needs no introduction. Balancing professional commitments with the social and personal is no mean feat and the accompanying stress is taking a severe toll on the working professionals of Mumbai. According to a latest study, among Indian citizens, 31 per cent working professionals in Mumbai suffer from stress. 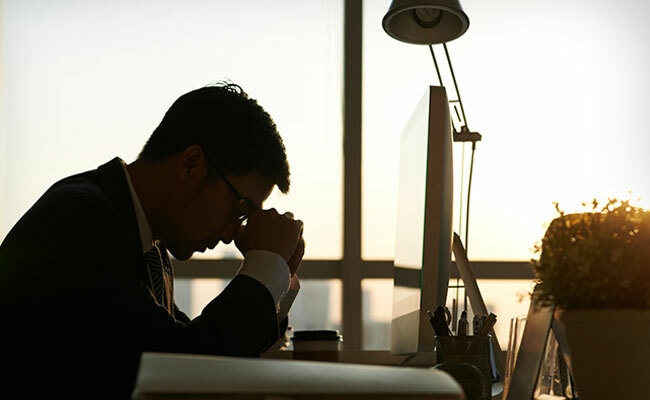 The study, conducted by Lybrate, an online doctor consultation platform, revealed that nearly 60 per cent working professionals in Tier 1 cities are stressed.The percentage of stressed working citizens in Delhi were found to be a whopping 27 per cent, followed by Bengaluru (14 per cent), Hyderabad (11 per cent), Chennai (10 per cent) and Kolkata (7 per cent). On examining the stress patterns of these professionals, it was revealed that the major worries of working professionals are tight deadlines, missing targets, coping with pressure, office politics, long working hours, indifferent and unsupportive managers and work-life balance. “People feel uncomfortable talking about stress with family members and friends. But it is important to bottle out any sort of frustration or stifling emotions in a healthy way,” Saurabh Arora, Founder and CEO, Lybrate, said in a statement on Tuesday. “It is very important to recognise what is bothering you and causing you stress, so as to deal with it effectively. Unattended stressful feelings or emotions can lead to major health problems in the long run,” Arora added. The study also revealed that working professionals from Sales and Marketing background (24 per cent) are more stressed as against those in professions such as Media and Public Relations (22 per cent), BPOs (17 per cent), Travel and Tourism (9 per cent) and Advertising and Event Management (8 per cent). The team analysed over one lakh interactions of working professionals with doctors that happened on the platform over a period of 12 months, starting October 10, 2016. From early aging, weight gain to heart problems,Stress can impact health in ways you could have never imagined. Here are foods that can help keep stress at bay. 1.Oats: A bowl of oats and some fresh fruits for breakfast may keep your mood swings in place. Oat meal boosts positive energy as it is considered to be a serotonin enhancer, which is known as the happiness hormone. 2.Lentils: Lentils are packed with all types of Vitamin B, which stimulates the brain and keeps you happy and charged. It also helps reduce tiredness and fatigue. Lentils also stabilize your blood sugar levels and fire-up your energy levels. 4.Yogurt: Yogurt is packed with calcium which helps beat stress. Experts have linked the 'good bacteria' found in yogurt to kill anxiety and depression. 5.Brahmi: Brahmi, the ayurvedic herb has potent anti-anxiety properties. It is known to increase the levels of serotonin - a brain chemical that helps to promote relaxation. It has a unique ability to improve cognitive function as well as helps the body cope with stress. It induces a sense of peace and soothes restlessness. It serves as a mild sedative, but instead of dulling the mind it enhances mental clarity and focus. Heat 1/2 cup of milk or water and 1/2 tsp of brahmi powder for about 3 minutes. Let the mixture infuse for 2-3 minutes. Strain and sweeten with honey if required. Load up on these foods to keep stress away.